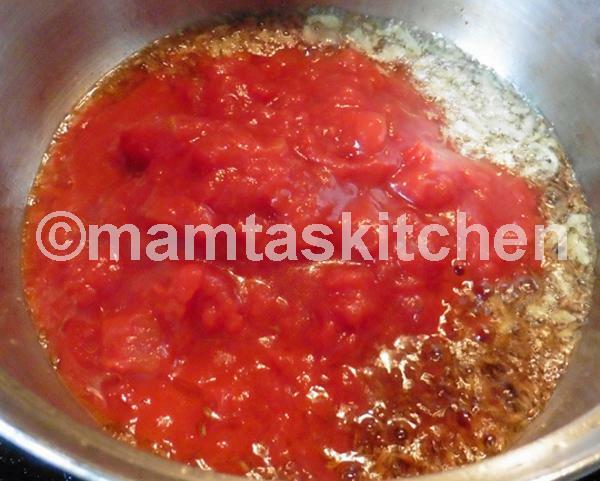 2 medium tomatoes, coarsely grated or finely chopped or use 200 gm. tinned tomatoes. Whole Garam Masala Spices; 2-3 large brown cardamoms (Badi Illaichi), cracked, 1-2 inch piece of cassia, cassia or cinnamon , 5-6 black pepper corns, 5-6 cloves and a couple of bay leaves. Heat oil in a pan, add cumin seeds (plus optional whole spices, if used) and a pinch of asafoetida powder and let the seeds splutter. 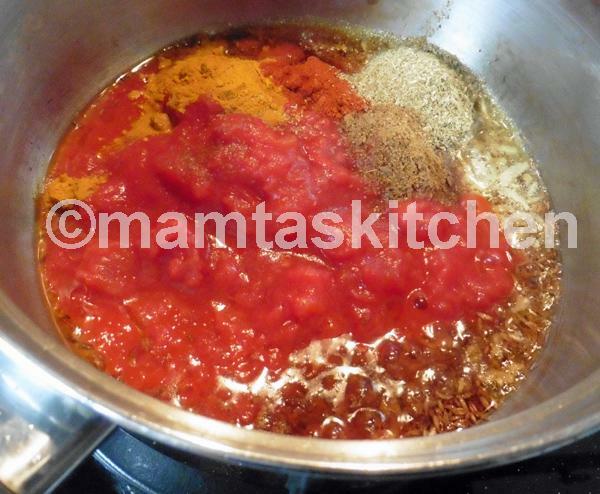 Add tomatoes and all the powdered spices, except ground garam masala and salt, and stir fry until oil begins to come off the edges. This does not take long, so keep a close eye on it. 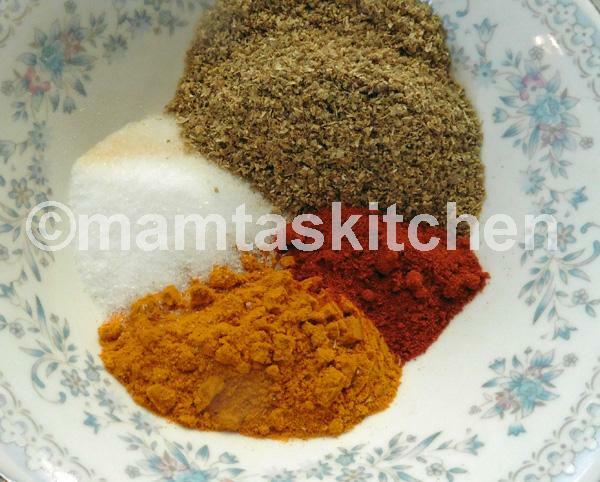 Now your masala mix is ready to add main ingredients and/or water, as the recipe dictates; some things need to be fried in the spice mix first and then water added, while others, like Koftas, require a gravy to be made first. In this case, water is added to the spice mix and boiled for a few minutes, before adding koftas. This amount of spice mix will support about 1 1/2 to 2 cups of water. Adjust salt and chillies to your own taste. 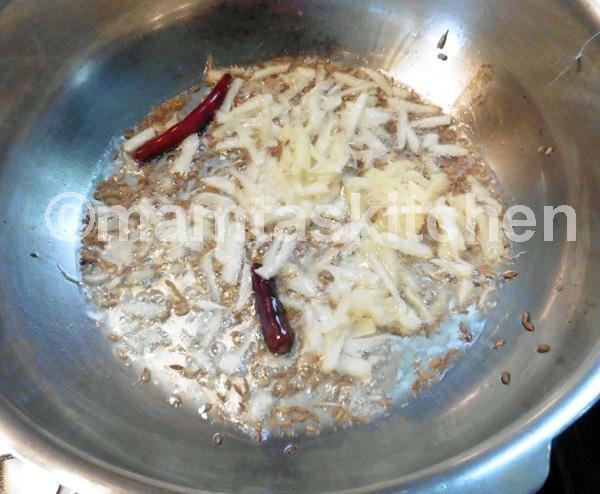 Stir in garam masala and coriander leaves at the end. 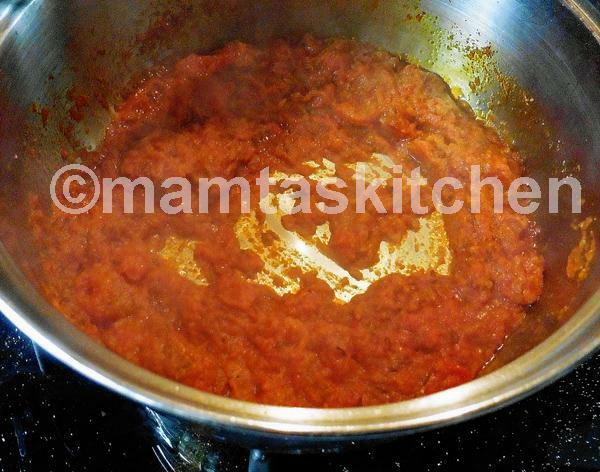 To thicken this type of sauce/gravy, add a tablespoon or two of dry fried besan or gram flour along with the tomatoes at step 2. Ground Poppy seeds (soak seeds for a few hours and then blend) can also be added at step 2, along with tomatoes. You can add a couple of tablespoons of thick yoghurt or double cream or sour cream to the gravy.